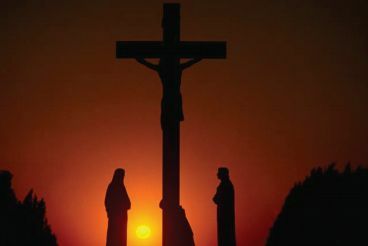 Psalm 22 (sometimes called the Psalm of the Cross) is a great chapter of the Bible that tells about the suffering and death of Christ 1,000 years before he actually gave his life upon the cross. Verse 1 says, “My God, my God, why hast thou forsaken me? …” In the gospels of Matthew 27:46 and Mark 15:34, Jesus cried out the same words while hanging on the cross. In verse 6 of Psalm 22, Jesus says something odd: “But I am a worm, and no man.” What did he mean by saying “I am a worm”? Usually in the Bible, the Hebrew word for a worm is “rimmah”, which means a maggot – but the Hebrew word Jesus used here for worm, is TOLA’ATH, which means “Crimson worm” or “Scarlet worm”. Both scarlet and crimson are the colors of blood – deep red. The Crimson worm [coccus ilicis] is a very special worm that looks more like a grub than a worm. 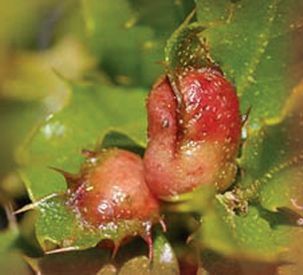 When it is time for the female or mother Crimson worm to have babies (which she does only one time in her life), she finds the trunk of a tree, a wooden fencepost or a stick. She then attaches her body to that wood and makes a hard crimson shell. She is so strongly and permanently stuck to the wood that the shell can never be removed without tearing her body completely apart and killing her. The Crimson worm then lays her eggs under her body and the protective shell. When the baby worms (or larvae) hatch, they stay under the shell. Not only does the mother’s body give protection for her babies, but it also provides them with food – the babies feed on the LIVING body of the mother! After just a few days, when the young worms grow to the point that they are able to take care of themselves, the mother dies. As the mother Crimson worm dies, she oozes a crimson or scarlet red dye which not only stains the wood she is attached to, but also her young children. They are colored scarlet red for the rest of their lives. After three days, the dead mother Crimson worm’s body loses its crimson color and turns into a white wax which falls to the ground like snow. So what did Jesus mean by saying “I am a worm”? There are a lot of ideas what Jesus might have meant, but nobody really knows for sure. However, it is very interesting that, just like the Crimson worm, Jesus sacrificed or gave up his life on a tree so that his children might be washed with his crimson blood and their sins cleaned white as snow. He died for us, that we might live through him! 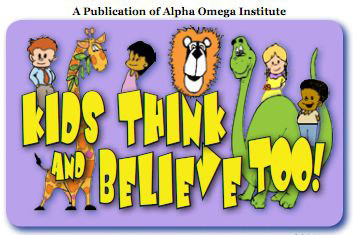 Originally published in the November/December 2011 issue of Kids Think and Believe, Too! Check it out for activities and a maze. THANK YOU SO MUCH FOR THIS INFO!! It explains a lot in the scripture. Hi Vickie! This is really awesome. It shows us how well thought out Father YAH’s plan is. I can’t wait to see the next clue he sends me too. Thank you Vickie for sharing this knowledge. YAH’s blessings be upon you. So be it! Hallelujah! What a beautiful picture of our selfless savior! Thank you for sharing! Indeed there is no greater love than this. I’m so much glad to know that piece of information! Praise God for the truth! This exhibits the wisdom of the All Knowing God. That, in the beginning,when He was calling things to be, He knew that He would need evidence of the Cross that had not yet been seen. Long before He instituted the practice of the shed blood of the covenant, He had a shadow set in place. It was all in the design! Evolution could never design anything like that. Wow. Your words are profound. God bless you! Thank you for telling about that verse; I wrote it down in some notes related to this worm and Psalm 22. Check out Isaiah 41:14, it ties into Psalms 22:6. About the worm and Yeshua (Jesus).Shalom. Thanks for the beautiful explanation of the Tola Worm and the link with Ps 22:6. I have been using Isaiah 41:14 to pray with little understanding, now it is clearer. Thank you. Wow, another “coincidence”. At what point do you finally realize that God says what he means and means what he says? Just after it has been read!!! Thanks for the information. I did a teaching on this years ago. But this is so much more informative! Thank you for an amazing portrait of our Lord Jesus! This worm is also called the Tolah worm. This creature is truly a testament to the fact that “the firmament shows His handiwork.” (Psalm 19:1) It shows that God’s creation is sometimes a sort of living prophesy of His plan, something that reflects His thinking. The information you offered is awesome, the time spent and the research required is amazing. The established facts, always gives the subject matter credence, and the receiver’s confidence is assured. Thank you for your fore-thoughts and diligence. I first heard about the Crimson Worm in a sermon at church and decided to include it in the 180-day devotional I’m writing. What a wonderful description of the Lord’s love! Heavenly Father thank you for another deeper confirmation of your hand in all things as creator most gracious father. Thank you for sending your Son to Die on the cross so that we may be wiped clean and covered with the precious blood. This was further truth for the journey that in the native Hebrew tongue to show the depth of your love for in the last words spoken by our lord and savior link it to your grand design. Thank you Father for all that you are and all that you have done and revealed I hope to be found worthy in that time you call us all. Truly magnificent, our Omniscient God in three Persons; blessed Trinity. 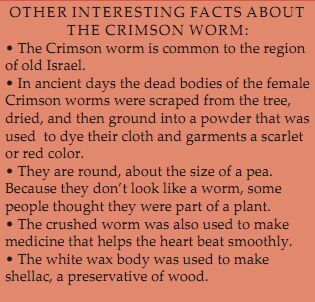 I am so fascinated and blessed by the story of the Crimsom worm that I plan to make it a must to share with some dear friends at church.What a great and extraordinary God we serve. our GOD truly knows all, praise the LORD. We have many, just take a look through our newsletter archives or try to search for animals you like in the search engine and see what we have. Thanks for visiting our site. Suggestion: Add a link so this can easily be shared on Facebook or text messages. Wow, this is an awesome picture of…we who are HIS, are worms covered, protected and fed by HIS blood on the tree with HIM waiting for the day to go out and do what Yeshua did so that we too will turn white in order to be HIS bride. Baruch Haba HaShem Adonai Eloheynu. Just as nothing in the life of Christ was wasted, nothing in the life of the scarlet worm is wasted. Jesus never wastes a hurt in our lives. First heard of the Scarlet Worm from Engineering Professor and Creationalist Dr. Edward Blick in 1981. Thank you for publishing this article. Now I reference it whenever I use the illustration of the Scarlet Worm and our Lord Jesus Christ on the cross. Explains mark their worm dieth not. It’s amazing how GOD uses nature which he created to honor his SON ! isn’t there something else that this worm does…it crawls up the east facing the east so that in the morning when the sun rises in the east that’s when it lets go of all its eggs and they fall to the ground? Um… Psalms isn’t in the new testament, so Jesus could not have said that. Other than that interesting facts about the worm! Thank you for commenting so we can clarify. Yes, we agree and know that the Psalms are in the OT. This is why the author referenced that Psalm 22 was penned 1000 years prior to Jesus giving His life on the cross. Most scholars believe that David wrote this psalm under inspiration as a Messianic psalm telling of the coming passion and death of Jesus, the Christ (an amazing study to do if you have the chance). Jesus subsequently claimed this psalm as pointing to Himself, and His suffering on the cross, by reciting the first line while on the cross. So the author wrote with this in mind and used Jesus as the subject, instead of the first person pronoun, since the psalm was about Him and the suffering He was enduring for our sake. Thanks for reading and commenting on the blog. You are absolutely correct! Throughout the OT many writers made mention to Jesus, as though they were given a revelation from God. One of my favorite things that David said was, “He restored my soul!” Job said, “I know one day he will step out on the cloud.” Both thousands of years before Jesus’ birth. And Jesus did quote from this Psalm while on the Cross wanting us to take a closer look at it! Matthew 27:46. The Psalm was written about Him, no question. So close to my work in scarlet and Christ… tola is the name of judge whos name in hebrew means crimson worm, which is a play on fiery serpent. The goal of creation is to make something in the likeness and image of the original adam. A new man. A fiery serpent. Adams name in hebrew is scarlet. You take the curse in genesis 3:15 enmity between the seed of the woman and seed of the serpent. And a map can be drawn towards Christ. If you look at the clashes between brothers in genesis, the likely meaning of these clashes, you see a continuous connection toward scarlet or the original adam. Cain, ham, ismael, esau, manasseh, and zarah. Each of these has a loose connection to scarlet, the original adam, or the preceding scarlet. With jacob however a dichotomy emerges. Esau is described as being a man of the field while jacob the man of the house. It is here we get the first idea of who the serpent seed is. What i argue however is that jacobs line especially thru leah isnt the descendant of the devil but meant to represent the line of eve on the earth. Eves name in hebrew is the same way you spell serpent in old aramaic. With ham shen and japheth for instance you see that ham and specifically canaan is cursed. However if you look closely you can tell that there are a line of curses on the rejected side…. ham is cursed, but so was Cain, so was adam, and so was the ground….. after ham is ismael and he is given a name conotating a curse —“god has heard my affliction” affliction being another way of saying cursed in hebrew. There is literally a line of curses running down the left side. What god was doing with ham shem and japheth was turning the three gardners into nations. Ham represents adam, japheth the woman, and shem the serpents root…. or eve. The unsearchable riches of the word of God. Simply astounding information! How can I post the information on the scarlet worm to my FB page? You are very welcome to post this on your facebook. Simply copy this link and paste it in a post on your facebook status. We are glad you enjoyed it!